Hi Beauties! 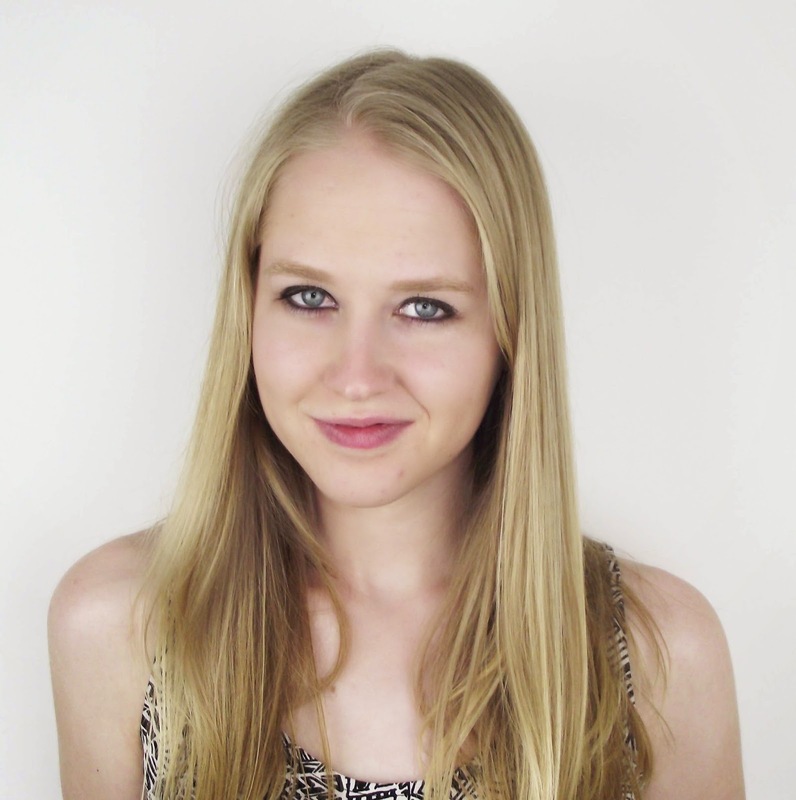 I’m Carly from Beauty & the Blog. 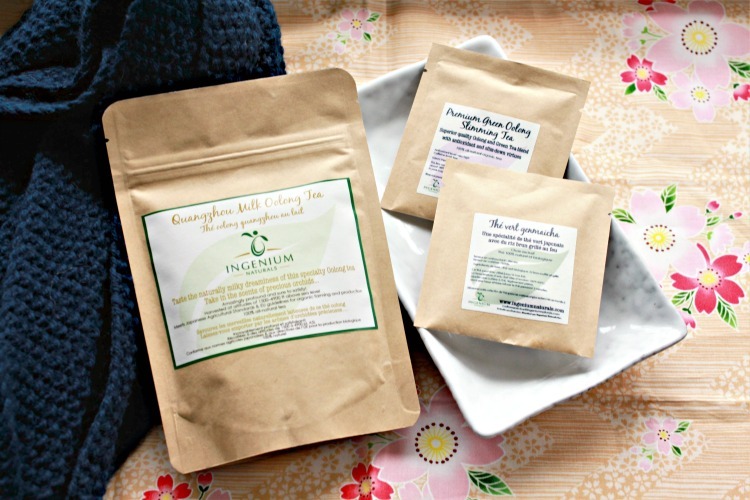 I was fortunate enough to be picked as Canadian Beauty Blogger’s Blog of the Month for June, which is why I’m over here visiting the lovely J! 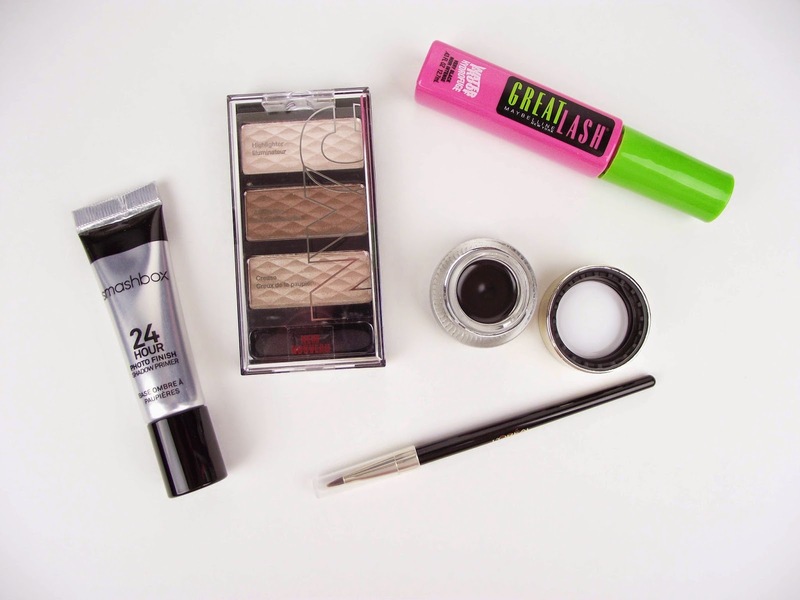 This month is all about helping your make up survive the heat, so I stopped by Shoppers Drug Mart to pick up a few things to help my eye make up last. We’ve all been there, you spent the morning perfecting your eyes only to realize a few hours later you look like you’re melting faster than a snowman in July. There are a few tricks you can use to make sure you don’t look like you just stepped off a sweaty streetcar. 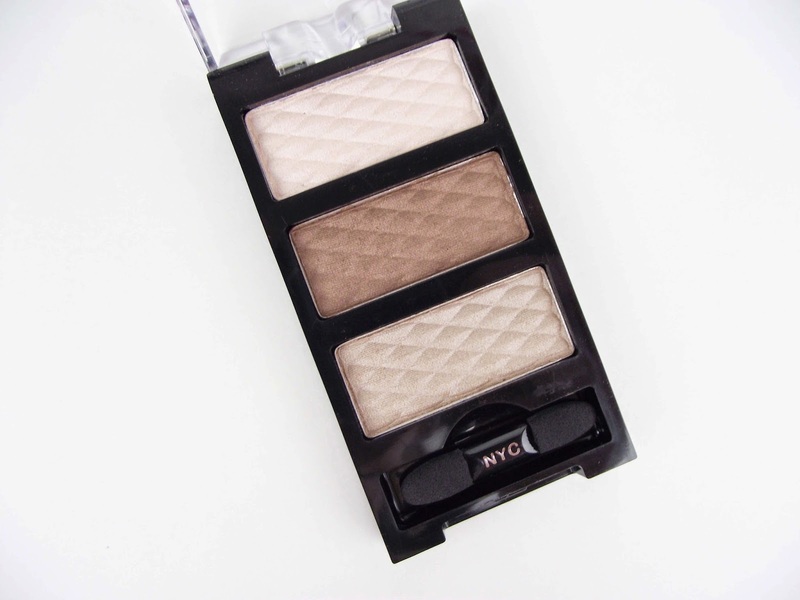 If you want to ensure that your make up lasts throughout the day, it’s a good idea to start with an eye shadow primer. Your shadow is more likely to crease when the weather starts getting warmer, so it’s an important step to incorporate into your routine. 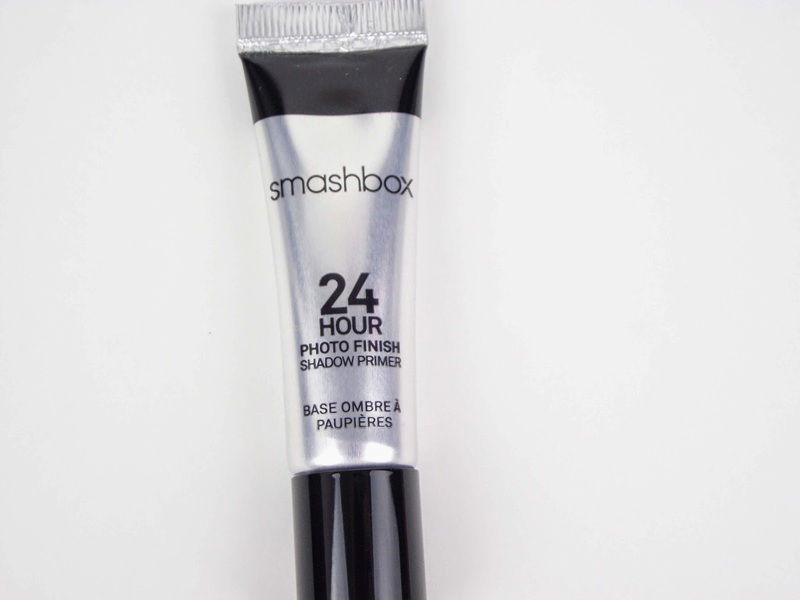 Smashbox 24 Hour PhotoFinish Shadow Primer, $23, comes out a light pink-ish colour but applies clear on your lids making it compatible with all skin tones! The long-lasting formula glues the shadow to your lids to keep you from looking like a hot mess. You won’t need a lot, apply a thin layer to your entire eyelid from the lash line all the way up to your brow creating a smooth canvas. Since the liner is going to be the star of this show, choose a subtle shadow colour like NYC HD Color TrioEye Shadow in Long Beach, $5. It easily maps out where you should place the shadow with an indicator to show which shade to use as a highlighter, for your crease, and for all over your lid. Apply a sheer wash to your lids and be sure to blend well at the crease. One of my biggest problems in the summer is trying to keep my liner from smudging, running or fading. Put down your pencils ladies, gel liner has a long lasting, flexible formula, and produces fade-free colour. Start off by applying a little bit of concealer under your eyes to make a barrier and help ensure your liner won’t budge. 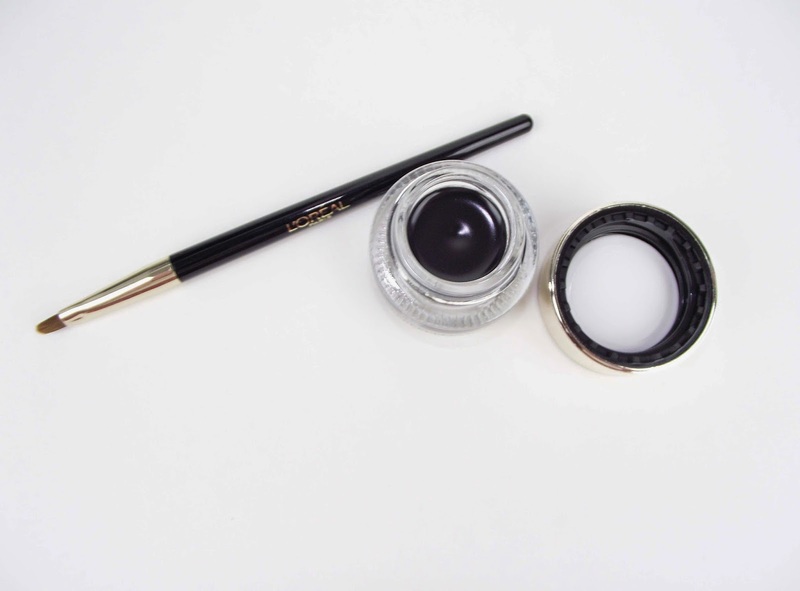 L’Oréal Infallible Lacquerliner 24H in Blackest Black, $10, includes a smooth-gliding brush for an easy-peasy application. The formula has an intense colour pigment and is very easy to work with but once it dries it’s not going anywhere. 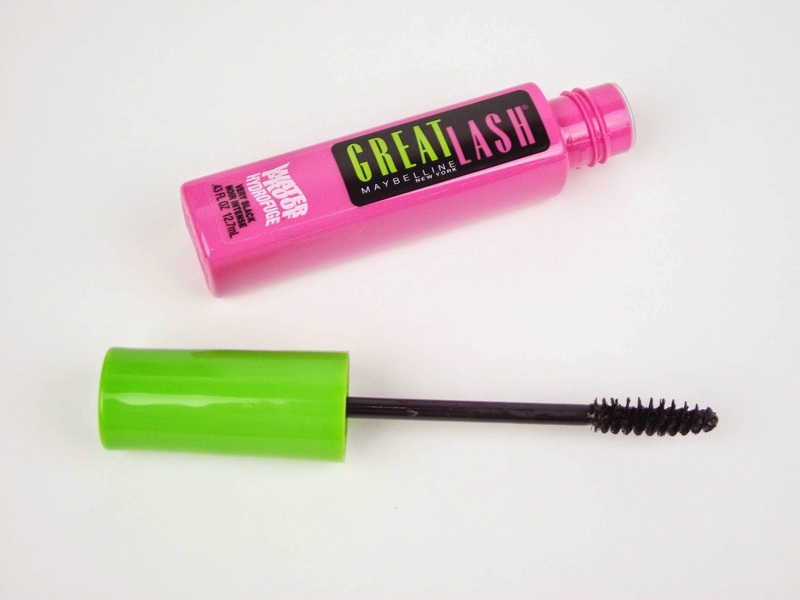 Waterproof formulas are your best bet once the temperature starts rising, so finish off your look with Maybelline Great Lash Waterproof Mascara in Very Black, $5. Not only is this classic mascara affordable, but it doesn’t clump or glob up. It’s no wonder this stuff has been around forever, it defines your lashes and the smaller brush makes it easy to apply to your bottom lashes. Whether you’re tearing up at a wedding this summer or you just want to hit the beach, you’re free to have fluttery lashes no matter where you end up. Thanks for having me J! How do you keep your eye make up in place?